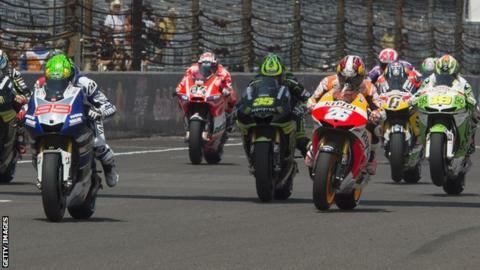 MotoGP could return to race in Brazil for the first time in 10 years from next season. A round of the world championship will be held at the Autodromo Internacional Nelson Piquet circuit in Brasilia, subject to confirmation. Carmelo Ezpeleta, head of rights holders Dorna, said: "Brazil is one of the most important motorcycling markets in the world. "Returning to Brazil has been a wish of the MotoGP family for many years." The circuit needs to be renovated, with work scheduled to start in December and finish next April or May. MotoGP's last visit to Brazil was in 2004, when the Rio Grand Prix was won by Makoto Tamada. It has not been announced whether the two new planned races will be in addition to the 18 on this year's calendar, or if they will replace any current grands prix.